Germán Eyzaguirre Cid is COO of Eyzaguirre y Cobin, S.A. and Vice President of Operations and COO of Szabo, Eyzaguirre y Cobin, S.A. (both Chilean companies). He is a graduate of the University of Chile law school and has become a self-taught expert in agronomy, horse breeding and aspects of civil engineering. Sr. Eyzaguirre, a Chilean native with aristocratic roots and extensive family land holdings going back several hundred years, is well-connected and well-suited for his role as head of operations in property development and agricultural production. He has developed over a dozen large communities in Chile since the 1970s, is part owner in a gravel pit firm, and once ran the largest shirt factory in Chile. He has proven himself to be an expert negotiator and hands-on, take-charge professional, that effectively accomplishes the tasks set before him. He has managed heavy equipment, development and agricultural crews, and has learned to cut through bureaucratic red tape in record time. He is keenly able to find extraordinary land purchase opportunities, and has the vision to see future uses of land that simply escapes others. His present role is to find new opportunities and design and run development projects, including professional aspects of topography, architecture, engineering design and landscaping, along with materials selection and manual labor. 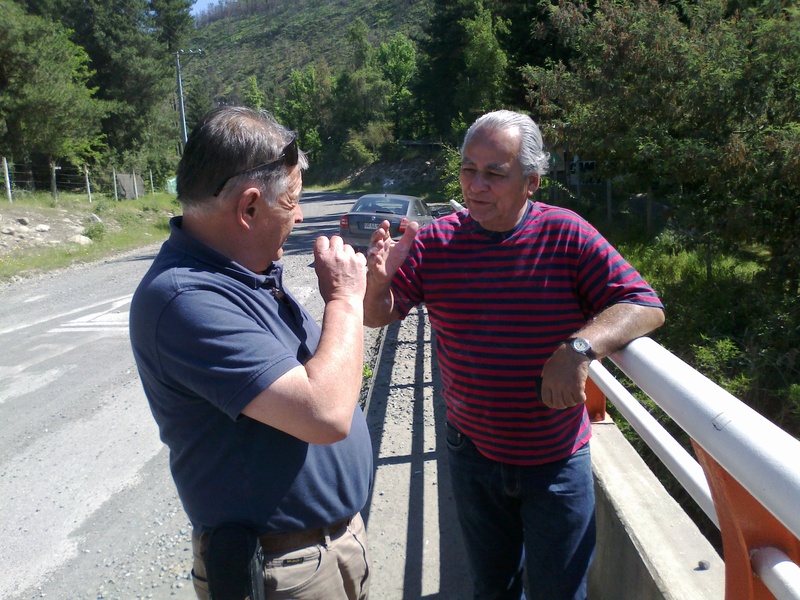 His current focus is on the properties in Curcaví and Río Claro (near San Clemente, east of Talca). Sr. Eyzaguirre is available to speak (in Spanish) with investors and service or materials providers in his Santiago office, and is happy to greet newcomers which have purchased building lots or farms in Vergel Libertad whenever he can. Dr. John Cobin is President and CEO of Eyzaguirre y Cobin, S.A. and President of Szabo, Eyzaguirre y Cobin, S.A. (both Chilean companies). He is also Professor of Economics and Public Policy in Chilean universities. He holds a Ph.D., in public policy and an M.A. in economics from George Mason University, and an M.A. in business economics from the University of California at Santa Barbara. A renowned free market economist, he is the most widely published Chilean academic in Chilean newspapers, contributing to close to 500 letters to the editor (which are important in Chile), opinion columns, radio and television appearances per year. His columns and opinions have appeared in the foreign press, too, including Free Market News, Sovereign Man Confidential, Zero Hedge, theTimes Examiner and elsewhere. He has been a radio talk show host, most recently (2012) as the host of “Red Hot Chile” on the overseas Radio Network. He has authored many books and academic journal articles on economics and public policy, including two Chile-specific books: Life in Chile: A Former American’s Guide for Newcomers and Expatriates to Chile: Topics for living. (Both books are available for purchase and download.) Dr. Cobin has been in nearly every city and town in Chile with more than 500 inhabitants, a feat which few people have ever attained, as well as purveyor of all major attractions in scenic areas in the country. Without a doubt, Dr. Cobin knows Chile well. He first arrived in Chile in 1996 and is married to a chilena, Pamela Sepúlveda Mendoza. He runs a VIP consulting business, a visa and residency service and a blog about Chile which are designed to help newcomers get settled. He found the land used for libertarian land development projects in Chile like Simon Black’s Sovereign Valley Farm. He also knows the rest of the world, having visited 68 countries, some for extended periods (e.g., USA, Italy, Nigeria, India, Guatemala, México, etc.). He understands the needs and struggles of expatriates. Dr. Cobin’s entrepreneurial tendencies led him to start several small businesses as well as run a financial services practice for seventeen years. His role with Freedom Orchard (Vergel Libertad) and Freedom Orchard Organics is general management and administration, and to contribute to the entrepreneurial vision for company projects, as well as networking with clients and investors. Bilingual in Spanish and English, he visits with (in his Santiago office) potential investors, employment candidates, consulting clients and newcomers which have purchased building lots or farms in Vergel Libertad (by appointment only). Frank Szabo is CEO of Freedom Orchard Organics and VP of International Sales for Eyzaguirre y Cobin S.A., both Chilean companies. He earned his B.S. in Business Administration from La Salle University in Philadelphia. 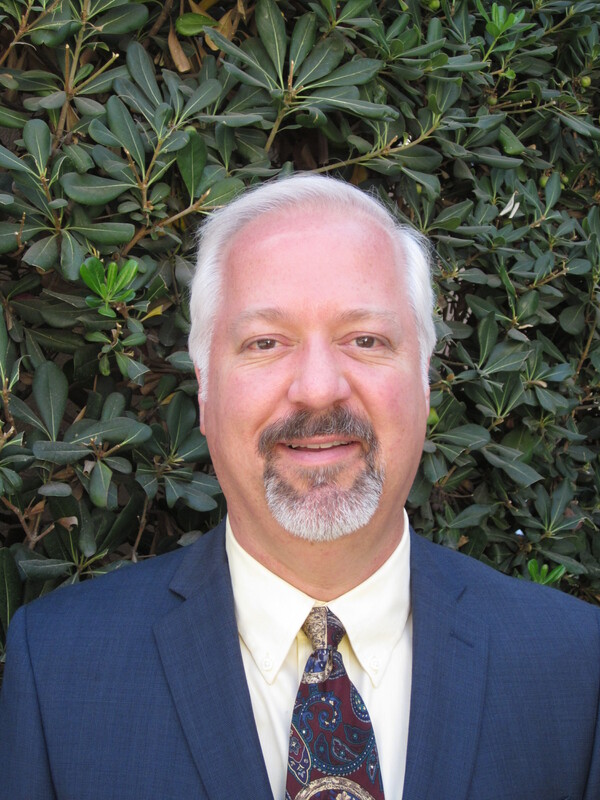 Frank began his sales career while working for U.S. Healthcare (now Aetna) and business administration and marketing with Prudential insurance company. He created and operated Elite Limousine, Ltd. for over 13 years. 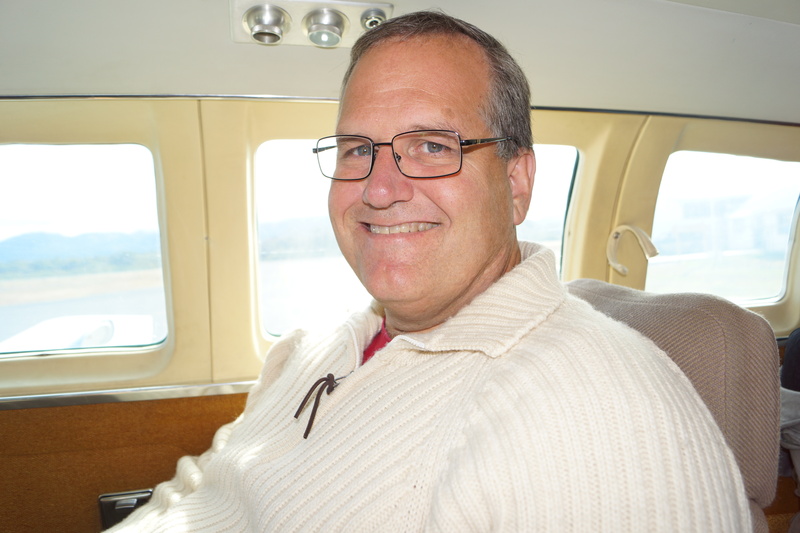 He’s been a successful owner of rental properties and other entrepreneurial activities. For over two years, Frank was on the Board of Directors as Treasurer of Pennypack Farm & Education Center, which operated a very successful organic CSA (community supported agriculture), providing produce, chicken and eggs to over 150 member families. He plans to emulate their success for the benefit of Freedom Orchard families. Frank’s primary role as CEO is overseeing the management of the organic farming operations and the sale and export of our produce and livestock. Frank’s grandfather was a farmer in Europe. You could say that farming is in Frank’s blood. His other passions include researching healthy eating for disease prevention based on one’s genetics. In 2012, he left the land of the free with his family and moved to Chile. 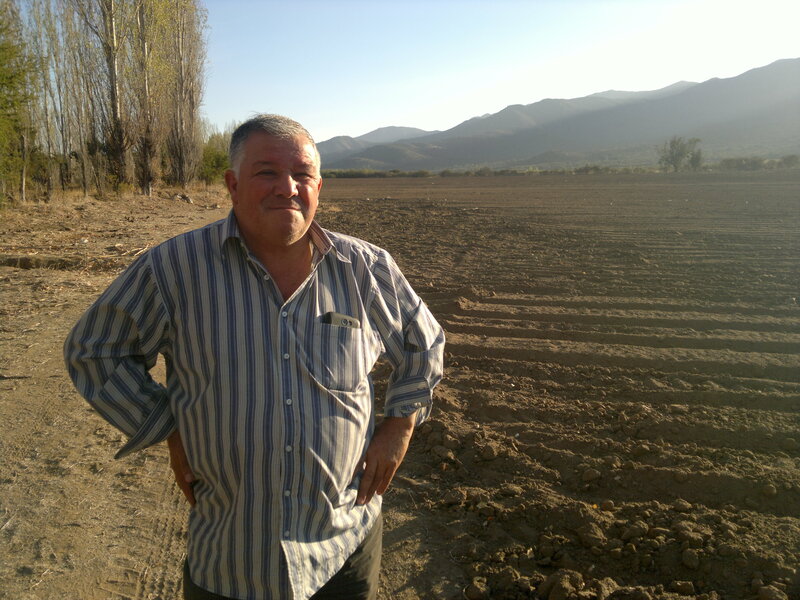 Guillermo Rojas has been a successful farmer in Chile for over 30 years, specializing in vegetables. He has grown and managed crops in Chile’s central valley and in the Curacaví area. He has experience selling agricultural products in both the Chilean market and abroad, and knows well how to optimize the timing of crop production and which crops to choose at any given time of year. He and his crew form an integral part of the Freedom Orchard Organics team and our passive farming investment programs. Freedom Orchard and Freedom Orchard Organics also have on staff expert farmers, production & operations managers and financial officers with decades of experience.